Banned on 2004, asbestos is still being found in many structures. Newer homes would not have it, but older ones that have not undergone renovation recently would still have the sheets. There are various areas where it might have seen use, making asbestos removal residential challenging work. Asbestos was used widely before its ban due to its properties. It was excellent insulation. It provided a measure of resistance to fire. It was readily available and easily pliable or mixed with cement. Thus, in an older home, it is possible to find the sheets or fibres in any number of locations. Typical areas where you might spot asbestos materials in residential properties include fences, roofing, eaves, and occasionally the cladding. Depending on the home, you might also want to inspect other areas. In many cases, the material is also used to line fireplaces and chimneys, due to its fire-retardant properties. Carpet underlay, electrical meter boxes, gutters, pipes, and soundproofing also used asbestos in the past. Pools, fish ponds, and some plumbing may also have rolls of it lining the interior. Imitation break cladding, textured popcorn cladding, eaves, brakes, some light switches, and even door or roof tiles have also been known to contain asbestos. All told, asbestos saw use in about 3,000 different products. This means that a significant amount of it remains in older households. 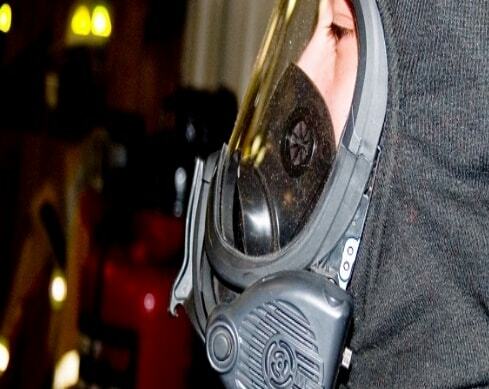 Sample collection can be hazardous, but it is the best way to confirm if an area has asbestos. Lab analysis is more reliable than even professional inspections. However, a professional inspection can still identify possible problem areas or have better, safer methods for collecting samples. If you are collecting a sample, we advise treating it as if it had asbestos. This degree of caution lowers your chances of taking it lightly and being exposed, in case there is a problem. Areas in your home other than construction might also contain asbestos fibres. Couches, carpets, curtains, upholstery, clothing, and bedding are all suspect. Fibers can embed themselves in these, making you a carrier of the problem. Burn them all.